COG Treasurer Lynda Freeman, Brenda, Helen & Donna set up the charities stall just outside of Morrisons entrance inside the Killingworth Shopping Centre on Saturday morning. The stall was set up by about ten. 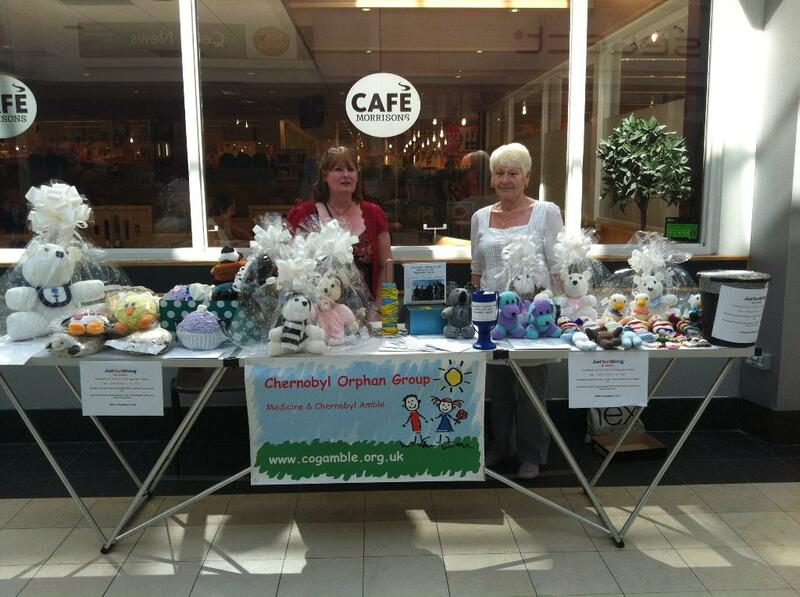 The table was covered with knitted & crotched soft toys on one end & tea cosies, novelty CD cases & Chernobyl Orphan Group wristbands on the other. 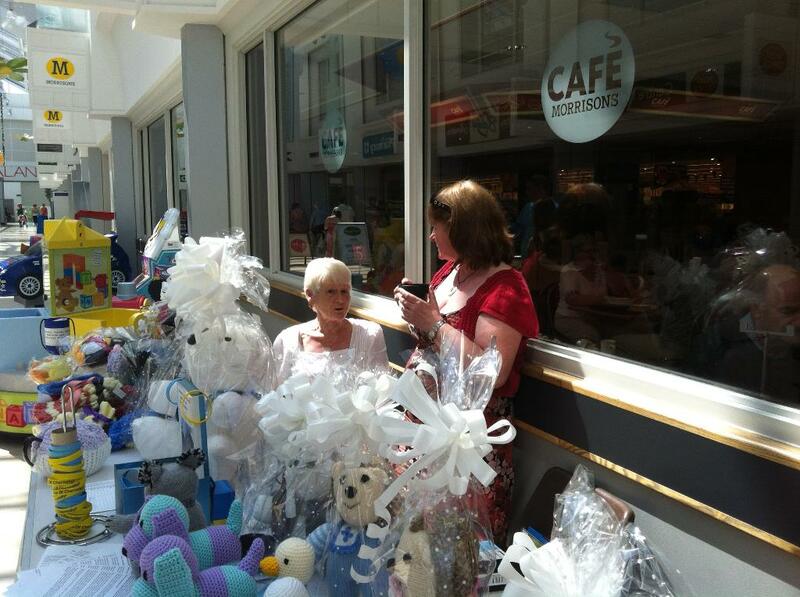 Lynda, Helen, Donna & Brenda took turns at shaking their collection tins at the general public. The day went on until 4pm, when the ladies packed up their goods and headed back home for a welcome rest. The day was well worth it when the donations and sales were counted up.